It took me a few days of those unavoidable ‘woe-is-me-I’m-not-qualified-for-space-travel-research‘ blues, but I’m back in the pilot’s seat and already engrossed with finding my next potential 2013 adventure. Something has to distract me from writing my thesis, right? I’d like to first extend a hearty ‘Best of Luck’ to the 30 finalists in the HI-SEAS program. I will be following along from wherever I end up and possibly providing updates to my readers from my position on the outside. I am also considering applying for the 2014 crew, so any advice for making it to the finalists would be greatly appreciated. My main focus with this blog is still sharing an interest and passion for science. However, I am going to be focusing less on the space and astronomy aspects and more on general science topics. Are you ready to get your biology on? I hope to incorporate aspects of travel and food blogging and I’ll have a lot of time to focus on these topics once I graduate. Until that point, get ready for some grad school/thesis writing ‘How to…’ posts. Do you have requests for blog topics? Please allow your voice to be heard in this week’s poll. The poll is located on top left side bar, and you may choose as many answers as your heart desires. Thanks for your support and advice! If you would like to request topics not on the poll, by all means include them as a comment here! Be patient with me in the short-term. I’ll be playing around with different visual themes and layouts. A new outfit helps when starting something new! I also need to brainstorm for a new name. One that will apply to my blog over the long-term. Again, suggestions are appreciated. No long post today. My thesis needs some undivided attention. However, in an effort to not leave you empty handed, please enjoy this video as much as I did. If I’m ever lucky enough to have such an experience I hope it’s caught on tape so I can share it. What are some of your more memorable experiences to date? What are some you hope to have? My time in Long Beach has come and is now fleeting with a speed that terrifies me. Does time speed up in the months before your defense? How cruel. I still have so much to do! A short, but very sweet, adventure has produced some fun posts. This will be my last Spring Break post and since I’m graduating soon, I don’t know when I’ll even have another Spring Break! Oh, Real World, you are trying to get a hold of me and I won’t let you! We’ve talk about lab and field work in the previous posts and today I’ll wrap up the series with one more spotlight on research. My friend, Rachel, was kind enough to take time from her insect identifications to answer a few questions about her research. Rachel displaying proper bird handling. Rachel’s Master’s Thesis research studies the impacts of an invasive weed species, Lepidium latifolium, on marsh food webs. For her, ‘the field’ is a brackish marsh on Rush Ranch Open Space Preserve, a component of San Francisco Delta Estuary. 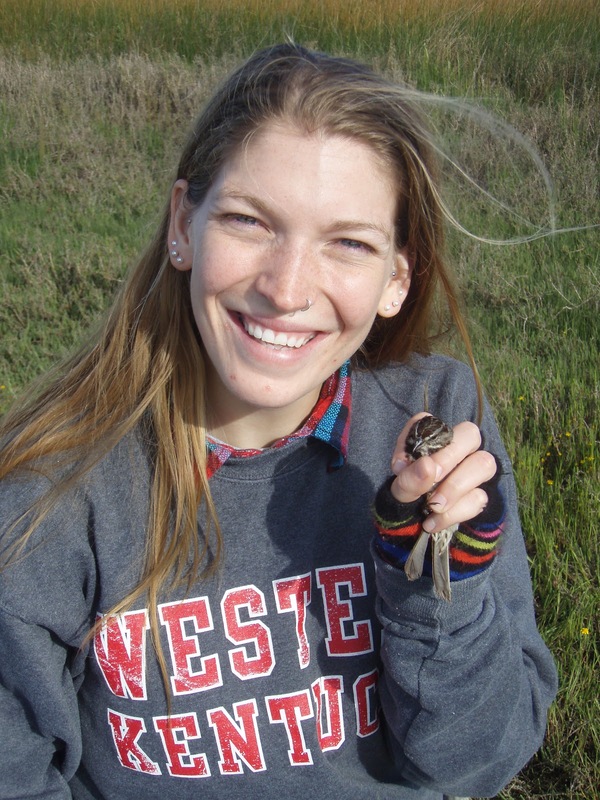 She measures environmental parameters of the vegetation, in addition to sampling birds (via blood and feathers), invertebrates (bird food), and plants (invertebrate food) for stable isotope analysis. More fancy science talk. Stable isotope analysis. This technique follows the notion that you are what you eat. Isotopes of certain elements (Carbon and Nitrogen, in Rachel’s research) get passed along when organisms are consumed and become incorporated into the predator’s tissue. Rachel can compare the plant, bug, and bird isotopes to figure out the food web. plants are the invasive weed species she studies. 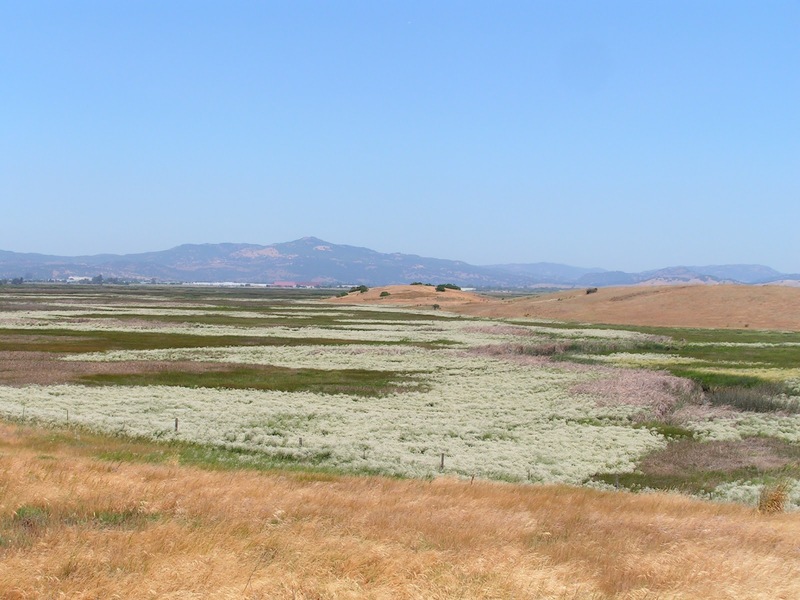 Rachel’s field component in the marsh requires a seven hour drive into northern California. With drives that long, she has to concentrate her efforts for the weekends. A typical outing includes measuring environmental parameters of vegetation, and the aforementioned sampling for isotope data. She has modified a leaf blower so now it serves as a ‘bug vacuum’ for collections. Her lab work consists of lots and lots of processing. According to Rachel, “It’s just the right amount of mix between the two, by the time I’m tired of being up at 4 am, it’s time to be in the lab for a while. When I’m sick of being indoors it’s time to go out to the field again.” In addition, she must also devote several hours per week with other graduate students in her lab working on the restoration efforts mentioned yesterday. Do you know of any invasive species in your area? Have they caused problems for the natural flora and fauna?